FIFE-based Scaramanga are known for their affordable handcrafted vintage leather satchels, a blend of British design, traditional craftsmanship and quality materials. With such affordable stylish and functional bags on offer for Britain’s modern male, it begs the question, ‘Why are so many men still sporting tattered backpacks and flimsy nylon shoulder bags?’ – or in some cases, a simple carrier bag! Scaramanga are looking for Britain’s men to embrace the ‘man-bag’ and have developed a special offer to encourage this throughout the month of April. Every man (or indeed woman) who can provide photo evidence that they have thrown away, destroyed or taken their old bag to a charity shop in favour of a Scaramanga leather bag will also receive a free hand-bound leather journal worth £16.50. Aside from the obvious aesthetical benefits the man will receive, a Scaramanga satchel will provide a safe and sturdy place for his work stuff, laptop or iPad. His Scaramanga bag will survive the toughest of conditions, looking better with age, and unlike many high street offerings every Scaramanga bag is unique and a true style classic. 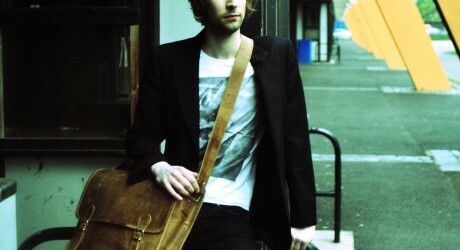 Scaramanga is a young Scottish company that stock vintage style leather satchels, messenger bags and travel bags. They stock a wide range of authentic vintage, retro and old classic furniture and interiors.